With the factions of the Conservative Party at odds, Labour showing new confidence and ‘Brexit Day’ just around the corner; the pressure was on this year for Theresa May to deliver a Conference speech that inspired confidence in her leadership, both within the ranks of her party and amongst the electorate. Such a brief would have proved a challenge for even the most gifted of orators, and May is certainly not considered to be amongst their ranks; however, she managed to pull it off, with levity to boot. May’s speech was well-pitched and smoothly delivered, with her pitch for the centre-ground of British politics clear for all to see. What is more, her self-deprecating humour about the cringeworthy unravelling of her 2017 Conference speech showed a welcome degree of self-awareness. The speech also contained one of the better formulated attacks on Jeremy Corbyn’s policy agenda that we have seen from May. As such, the excited predictions of the demise of her leadership in the next few weeks now look premature. The speech did, however, contain a large Brexit-shaped hole. May did not address the apparent impasse in the Brexit negotiations, nor did she present a compelling defence of her Chequers plan; indeed, she did not use the word ‘Chequers’ at all in her speech. Her unwillingness to tackle the issue of the hour may have allowed her to deliver a less divisive speech but will not have gone very far in soothing Chequers sceptics. 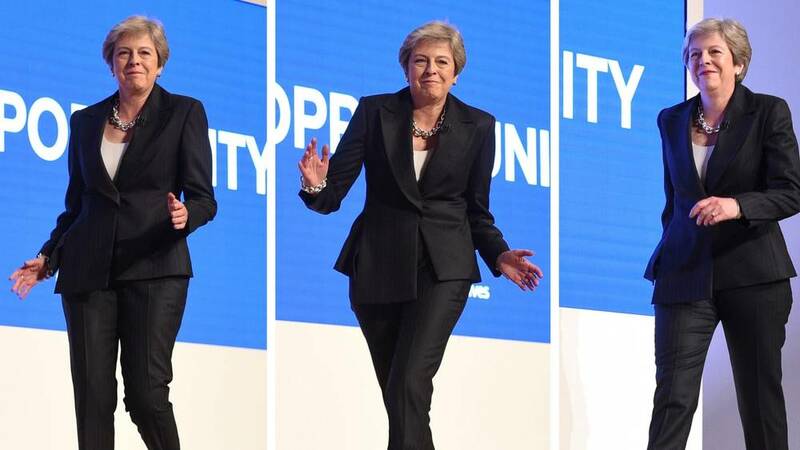 Indeed, the number of Chequers sceptics amongst the grassroots activists attending the Conference would have risked an awkward moment in the conference hall – perhaps even more awkward than the Prime Minister’s ‘Maybot’ dance moves. The fact that the very public leadership pitches of Jeremy Hunt and Boris Johnson at Conference fell somewhat flat means that May remains the only credible candidate and will likely quell demands for a leadership contest for the time being. Ultimately, whilst the positive mood music will have earned May some more support, it will be the Brexit deal, or lack thereof, that she walks away with that will determine her tenure as Prime Minister. However, from a party management point of view, the Prime Minister and her team will be pleased with how the Conference panned out. Brexit uncertainty dominates – Unsurprisingly, Brexit dominated the Conference. Whilst Ministers attempted to disprove this, the lack of significant policy announcements from the poorly-attended main hall speeches was testament to the Government’s Brexit focus. Boris and the leadership pitches – Several Cabinet Ministers made thinly-veiled leadership pitches; with Jeremy Hunt, Sajid Javid and Matt Hancock being notable examples. Most prominent, however, was Boris Johnson, who swept into Birmingham for a few hours to speak at a mega fringe event attended by 1,500 people. Whilst nothing ground-breaking was said, Johnson spent much of his speech outlining his domestic priorities in the least subtle leadership positioning of the week. May is safe, for now… – Although there is major unrest within the parliamentary party and the membership over the Chequers plan, there is clearly no immediate appetite to trigger a leadership contest. Jacob Rees-Mogg repeatedly highlighted at many fringe events that the instability that would arise from defenestrating May would put Brexit itself in jeopardy and called on his disciples to ‘hold steady’. AI was spoken about – a lot! – Across the numerous tech-focused fringe events, artificial intelligence was a major focus for the Secretaries of State and Ministers who spoke. Government representatives ranging from Greg Clark at BEIS to Jeremy Wright and Margot James from DCMS attempted to showcase their knowledge of the area.